WASHINGTON DC, November 16 -- From 1941 through 1944 French state-owned railroad company SNCF transported 76,000 people to concentration camps -- over 11,000 of them children -- charging the Nazi-controlled government third class fares although the accommodations were in cattle cars. 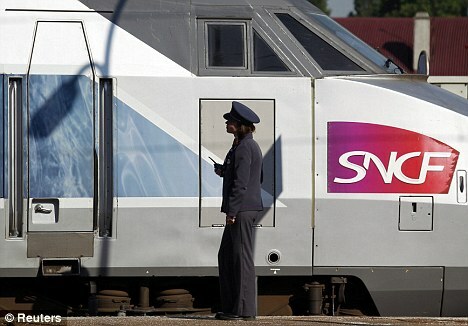 Now when SNCF is sued for these crimes against humanity, the company raises the defense of soverign immunity. The logic is that since Nicholas Sarkozy can't be sued by his victims including recent ones from weapons drops in Libya and reprisals in Cote d'Ivoire, neither can SNCF be sued, even by Holocaust survivors. Wednesday on Capitol Hill in the Rayburn House Office Building, the House Committee on Foreign Affairs heard from Holocaust survivors, in support of H.R. 1193, the Holocaust Rail Justice Act, which would prevent foreign sovereign immunity from being raised as a defense by the French rail company SNCF in a class action law suit brought against them by Holocaust survivors. The Committee heard, this is not the type of situation foreign sovereign immunity was ever meant to apply to. Chairperson Ileana Ros-Lehtinen moved things along, so the Committee got testimony from Leo Bretholz, who survived only by jumping from a SNCF train bound for Auschwitz carrying one thousand other victims. Later he settled in Baltimore. Bretholz said SNCF was paid by the Nazis "per head and per kilometer." He submitted into the record an invoice SNCF submitted "after the Nazis were gone." He described how families were split up. For the whole trip, SNCF gave "one piece of triangle cheese, one piece of bread and no water." An elderly woman on crutches told him, "You must do it, if you get out, maybe you can tell the story." He managed to bend the bars of the windows of the cattle car and got out. Of SNCF convoy number 42, only five survived. For SNCF, he said, "it's all about money." Seventy years is enough, he concluded. Yes, it is. And what does the French government say?